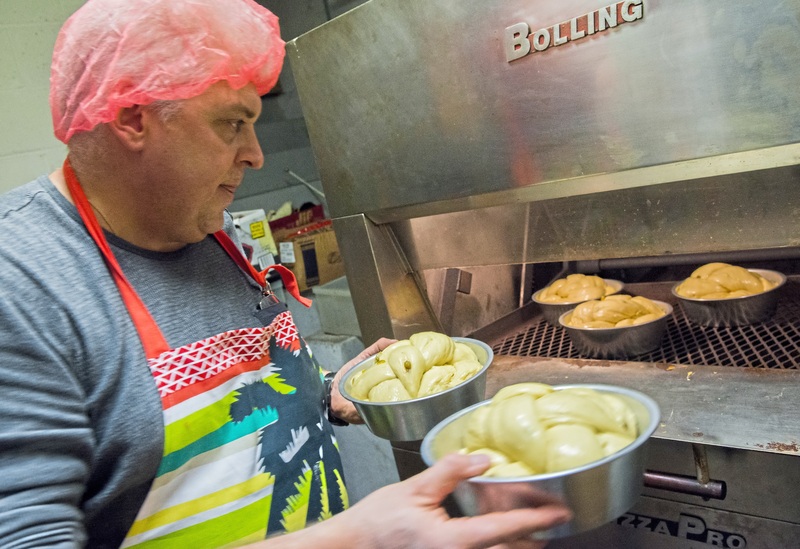 Slava Martyn never could have imagined that one day he’d find God, in Homestead, by baking bread. 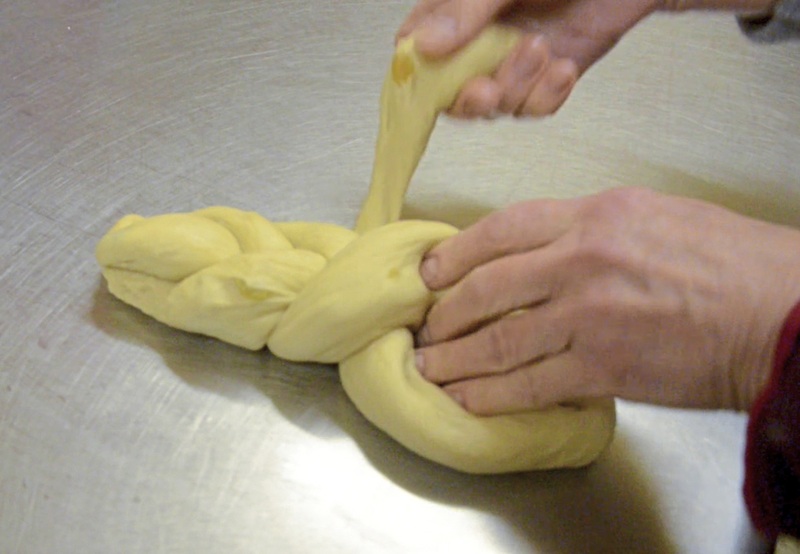 With a pastry brush dipped in egg wash, he leans over the pan of uncooked dough in front of him. With the delicate yet precise hand of an artist, he paints the loaf’s bumpy surface until the entire top is slick and sticky with egg. Satisfied, he reaches for the next of the 20 or so pans lined up on the table. It’s methodical work, making the rich and eggy Easter bread known as paska for St. Gregory Russian Orthodox Church in Homestead, and he does it without talking. But you can tell it suits the Russian-born Dr. Martyn. He gets plenty of practice paying attention to small details in his day job as a pediatric anesthesiologist at Children’s Hospital of Pittsburgh of UPMC. Just around the corner in the church’s brightly lit kitchen, laughter rings out. They’re a happy bunch, this small posse of women gathered around a stainless steel table with their Bulgarian priest, wearing the same pink hairnets as Dr. Martyn. They trade stories and laugh as Helen Sucevic dips her hand into a large container of dough. Grabbing a handful, the 69-year-old places the mixture on a kitchen scale and when satisfied it’s the perfect size, tosses the small ball onto the middle of the table. Another woman picks it up, rolls it into a skinny log, then slides it down the table to Dr. Martyn’s wife, Valentina. In just a few seconds, she braids the log like a little girl’s hair into a thick, doughy plait, tucks the ends under, and then plops it into a metal baking pan. Another plait goes on top. After Dr. Martyn works his magic with the egg wash, he transfers the loaves into a revolving pizza oven to cook, 25 at a time. As the bread bakes, the egg wash will also, creating the Easter bread’s distinctive glossy sheen and deep chestnut color. Dr. Martyn, 52, didn’t grow up religious. He didn’t even go to church until he, his wife and their baby son immigrated to Pittsburgh from Ukraine in 1996 through the green card lottery. In the 1970s and 80s, the Russian Orthodox Church was severely repressed both in Siberia, where he grew up, and St. Petersburg, where he studied medicine. While he believed in God, he wasn’t allowed to show it. Then they settled in Greenfield. And Dr. Martyn’s mother, who’d immigrated with them, decided they needed to go to church. A friend told them about St. Gregory’s. The great influx of Slavic immigrants who came to work in the steel mills that once lined the riverbanks of the Monongahela saved their pennies to convert a Protestant church below the train tracks into an Orthodox structure in 1913. They scrimped again when the new Homestead Mills claimed their land, and they had to build a new church up the hill on East 15th Street. Something about the tiny parish just felt … right. The couple joined the church’s paska-making crew a few years ago. They like how the word-of-mouth bread sales raise much-needed dollars for the church’s coffers, and upholds a cultural and religious tradition. The pair had ready teachers in old-timers like Mrs. Sucevic of Baldwin Borough. She’s been a member her entire life and has been paska-making the week before Easter longer than she can remember. She learned from her mother and namesake bubba, who immigrated in 1918 from the former Czechoslovakia to Colver, a small mining town in Cambria County. 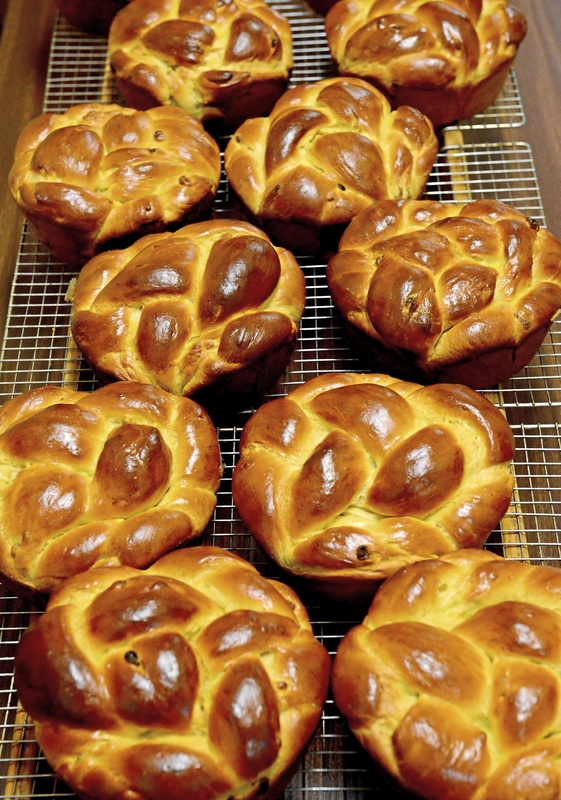 She recalls how St. Gregory’s started its paska fundraiser 30 years ago with a member’s 100-year-old recipe, to complement the church’s annual nut horn cookie and nut bread sales at Christmas. Then the ladies got older, and making paska went by the wayside. They’d start it up again about 10 years ago, when parishioners decided they weren’t raising enough money with their holiday bake sale. They now sell about 150 loaves in the weeks leading up to Easter. Recipes can vary depending on the culinary traditions of the baker. Back in Ukraine, says Mrs. Martyn, the bread is made with ricotta. 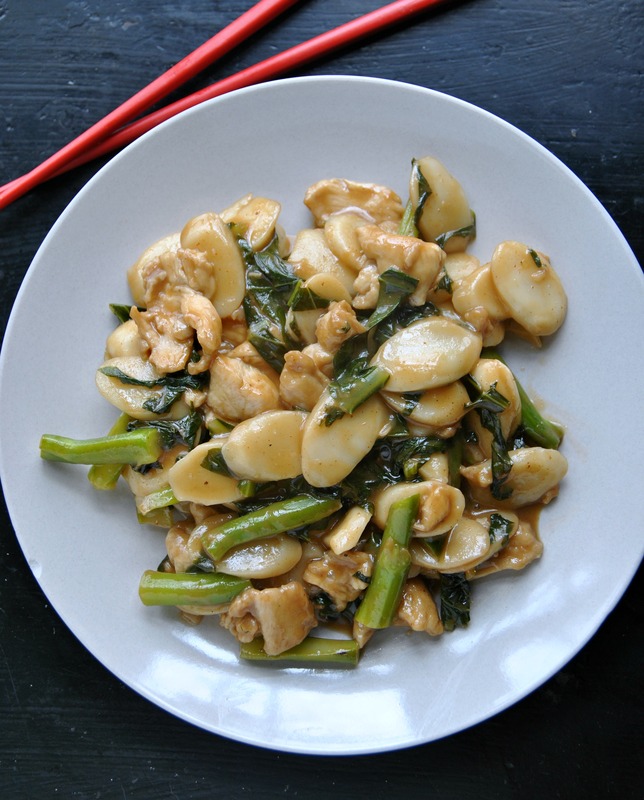 But some ingredients are the golden standard: lots of eggs and butter along with sugar and milk. It’s a treat after the Lenten fast. The bread itself is not terribly difficult to make. But it does take time. The dough has to raise before it can be divided into balls, and raise again after the logs have been braided into loaves. Then the loaves have to be constantly basted with butter as they go round and round in the rotating oven. It takes about four hours to complete the process. The three parts of the braid symbolize the Holy Trinity, and there’s symbolism in the bread’s color, too, says Father Evgeni Peykov, who became priest last fall. The white interior represents the Holy Spirit, and raisins symbolize the blood of Christ and the wine taken during Holy Communion. Many of the parishioners who buy the bread will bring it in a basket with other traditional foods to the church on Holy Saturday. That’s when Father Peykov celebrates Osvyashcheniye, or the traditional blessing of the meal to be eaten on Easter Sunday. When your life is drastically upended, like theirs was when they left Ukraine for the promise of the U.S., it’s easy to feel cut off and alone, says Mr. Martyn. The church opened up their doors to them, and made them feel like they belonged. 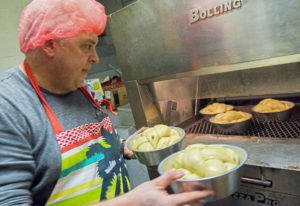 In making paska, and keeping the Russian Orthodox traditions alive, he says, they’ve found a way to give back. Audrey Burgoon’s come-to-Jesus moment came at mile 18. It was her first marathon, in San Diego in 2006, and her training partner of four months had just hit the wall. Seeing him falter, she burst into tears. She did not know how to run by herself. Her coach asking why she was crying only made her feel more like a failure. Turned out, she was running so fast, she was on pace to qualify for the Boston Marathon. On her first race. She just needed to keep going. She says, “You don’t know your potential until you push yourself,” a philosophy she’s taken to heart in the 100-plus races she’s completed over the past 13 years. She’s preached it to the hundreds of charity runners she’s coached to the finish at Pittsburgh Marathon events. Ms. Burgoon is 56, lives in Mt. Lebanon and is a textbook late bloomer. The Alaskan-born military brat moved all over the country before her parents settled in Pittsburgh in 1983. Sports as a kid? Never. The Penn State University grad took up exercise only in her 40s, after watching Richard Simmons “Sweatin’ to theOldies” in a TV commercial during a New Year’s Eve party and realizing she’d packed on some pounds. She eventually worked her way through the entire library of his tapes, and the extra weight melted away. By fall 2005, she’d made so much progress that she hired a trainer, who one day suggested doing some track work at Mt. Lebanon High School. So ignorant was Ms. Burgoon about running that she thought a quarter-mile lap around the track was a full mile. But she was fast, and her trainer sensed potential. She decided her new goal was to run a marathon. A flyer from the Leukemia & Lymphoma Society turned up in her mailbox on the very day her friend’s child was diagnosed with leukemia. For a spiritual person who doesn’t believe in coincidences, the moment was profound. She had to run. The Pittsburgh marathon at the time was on its five-year hiatus, so her first race with LLS’s Team In Training would be in San Diego. It was such a fun experience and she was so good at fundraising that she eventually became one of the charity’s volunteer coaches. In 2009, the year the Pittsburgh Marathon returned, she helped coach the team that would raise thousands of dollars through the first Run for a Reason program. She’s kept at it, raising more than $114,000 for various organizations over the past decade. Charity runners, says Ms. Burgoon, often are stigmatized as being less serious than “real” runners, especially when fundraising is a way to gain entry into a race without a marathon-qualifying time. “But they’re athletes like everyone else,” she says. Justin Schell of Squirrel Hill first got to know Ms. Burgoon in the mid 2000s when she helped train him for his first half-marathon in North Park. The lymphoma survivor had just left his job as an accountant and was eager to shed the 40 pounds he’d put on sitting behind a desk. 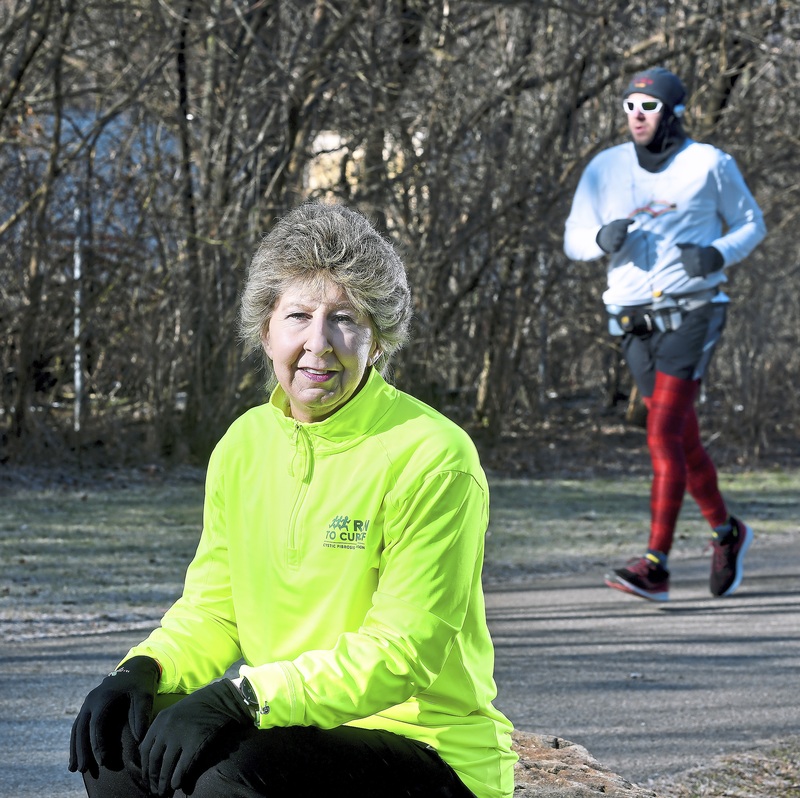 One thing that struck him about her was the amount of time she invests in her runners, even though she works full time as senior administrative director at Asbury Heights in Mt. Lebanon. She even cooks for her team, as weekend training runs always are followed by one of her homemade breakfasts. “She remembers learning to feel the discomfort of exercise,” he says. Still, if people complain they don’t have the time to train, she doesn’t hesitate to call them out, he says. In the nicest possible way. Hannah Camic of Elizabeth Township remembers how happy she was when the soft-spoken coach found her at the exact moment of her breaking point during the 2016 Pittsburgh marathon. Ms. Burgoon had become a coach for Pittsburgh’s Run to Cure Cystic Fibrosis team. Ms. Camic was born with the disease, which can cause her lung function to drop when she runs. By mile 23 during that race, unable to breathe, she was fighting for every step. As always, Ms. Burgoon was running back and forth on the course, looking for strugglers. She told Ms. Carmic, “Know you can do this,” and repeated it as she ran beside her for the next 3 miles, until the finish line was in sight. Then it was back onto the course to help some of her other 150 runners. Mary Pat Joseph of the Cystic Fibrosis Foundation asked Ms. Burgoon to be the nonprofit’s Run for a Reason coach in 2014. She doesn’t have to fundraise, but she’s already raised almost $10,000 of her $12,000 goal for this year — more than anyone else. Ms. Joseph has experienced her work ethic first hand — and with a broken wrist — when she ran her first half-marathon. She lauds her coach for helping her and hundreds of runners attain goals they never imagined, all while helping further other causes.